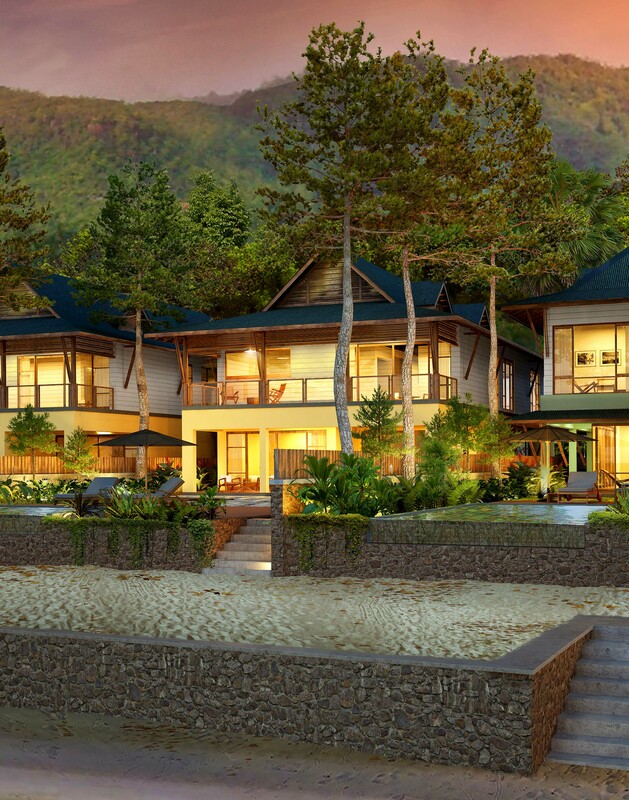 A private tropical getaway in enchanting Seychelles could now be yours to own. Lush vegetation, mesmerising waters and radiant skies form the idyllic setting for these 6 luxurious Waterfront Villas being offered for sale on a freehold basis. Two-storey pool villas, with a built up area of 354 Sq. 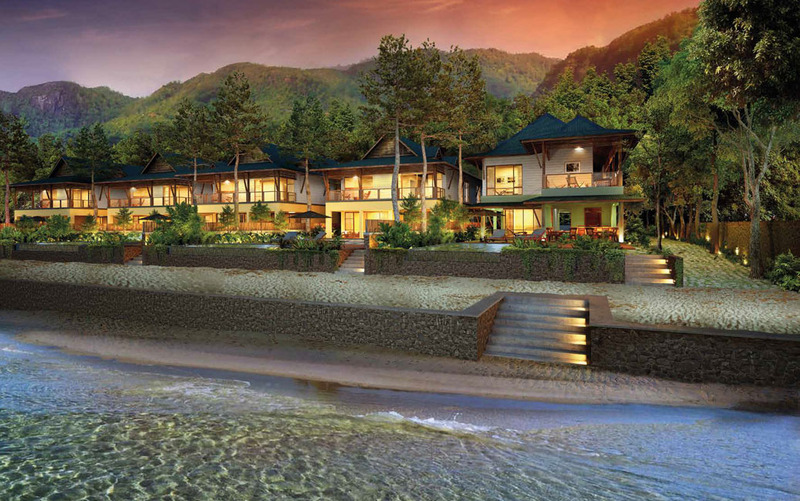 Mts., sited on individual freehold ocean-front plots of approximately 500 Sq. Mts. offering spectacular sea views. 3 spacious suite bedrooms, including an elegant 75 Sq. Mts. 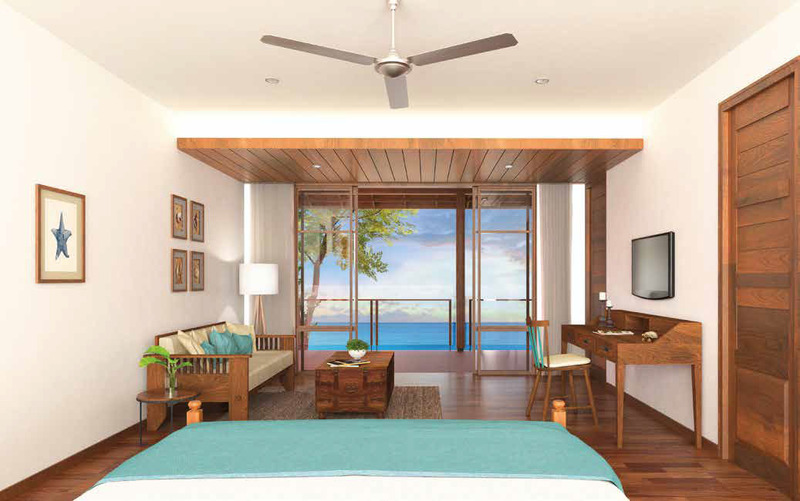 master bedroom with a walk-in wardrobe, a verandah and a perfectly located free-standing bathtub offering breathtaking views. Fully-equipped open-plan kitchen flows into the dining and living areas creating an interactive and relaxed social space. Living room opens onto a large covered verandah allowing visual continuity, with vistas being brought in as an integral design element. 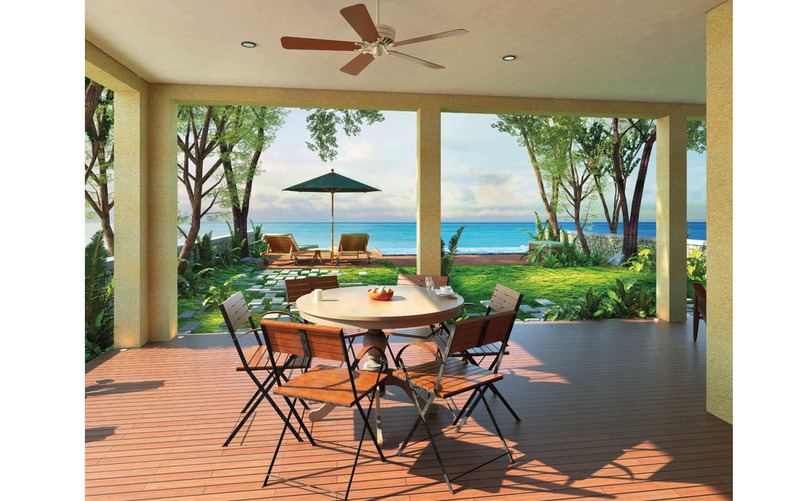 Covered verandahs overlook the garden, wooden decking, and the 18 Sq. Mts. infinity-edge pool, which lies parallel to the ocean. 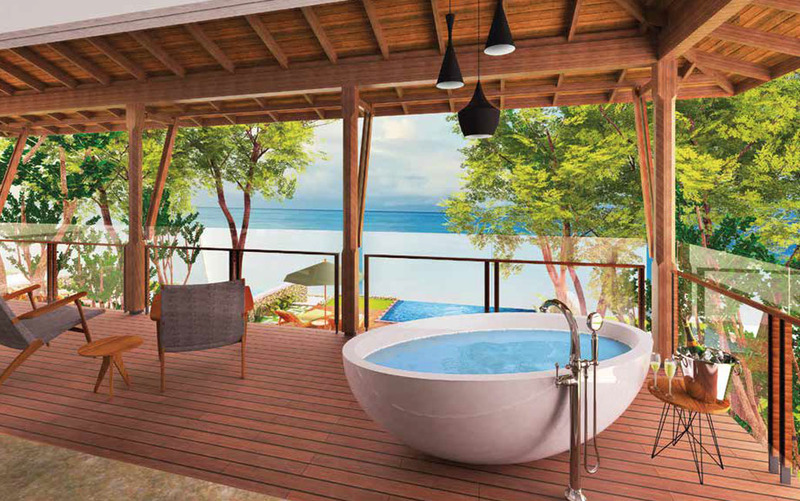 Beyond the infinity edge pool, take a few steps down to a specially created sandy area with beach furniture. A perfect setting for all-weather entertainment! 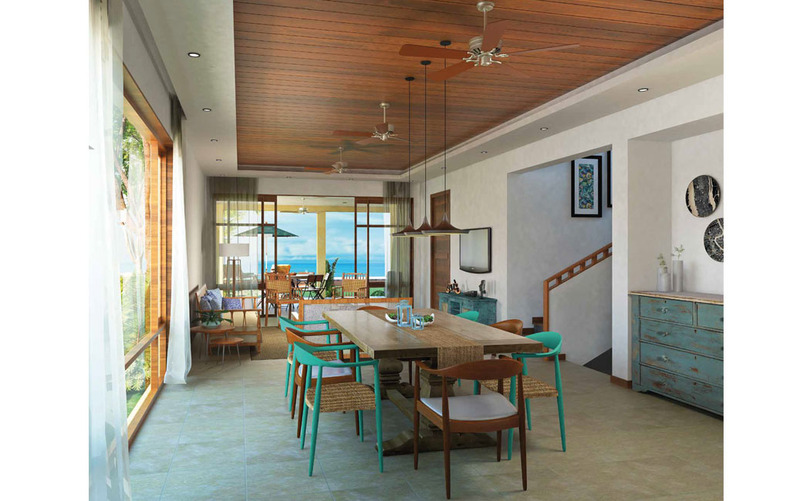 Villas also feature a spacious family lounge, a powder room, a utility room complete with a washing machine, a dryer and ample storage space, as well as a covered porch. 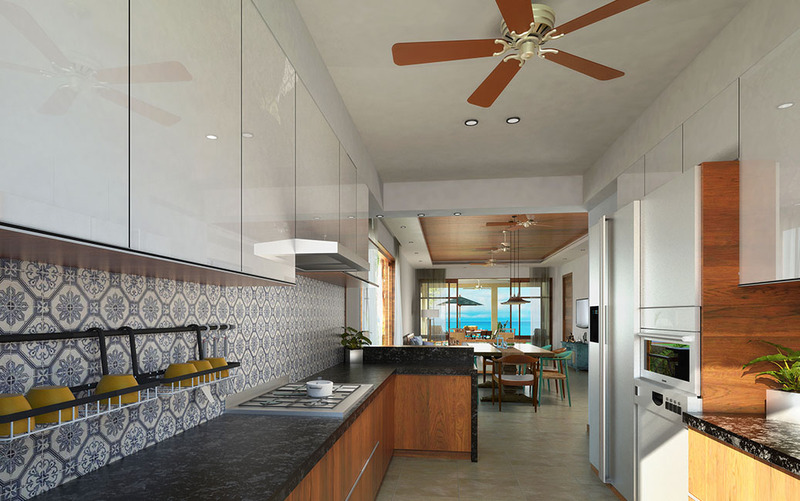 Villas equipped with modern energy-efficient inverter-technology air-conditioners, electrical and water reticulation systems, including LED lighting, solar water heaters and rainwater harvesting. 24-hour security and adequate on-site parking.